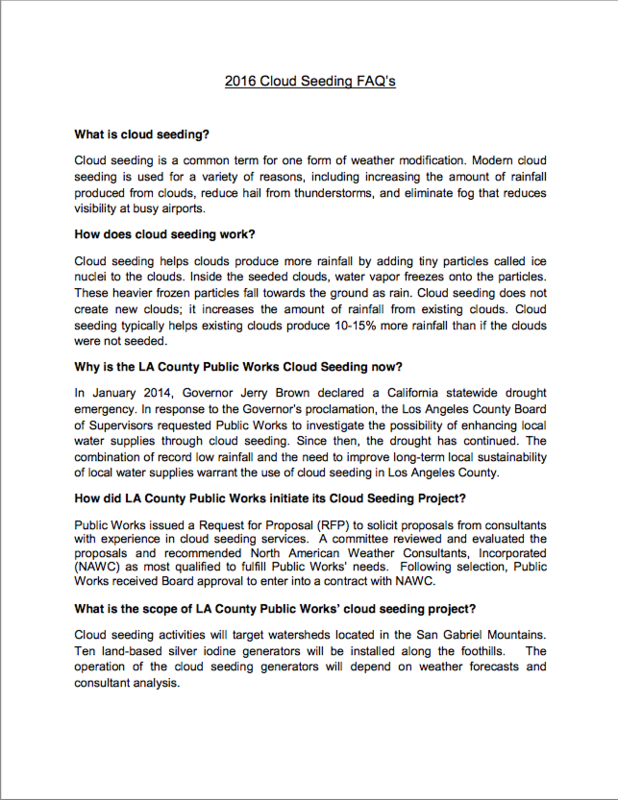 What materials are used in cloud seeding? The most common material in cloud seeding is silver iodide. The manually operated generators contain a solution of silver iodide, acetone, and sodium iodide. Remote operated generators contain ammonium perchlorate, zinc powder, aluminum powder, silver iodide, copper iodide and ammonium iodide. Only acetone is listed as a hazardous material by the U.S. Environmental Protection Agency, and it will be used, disposed, and transported in such a way that there will be no significant hazard to the public and environment. After going through combustion, acetone breaks down into CO2 and water.